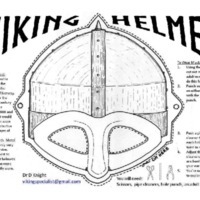 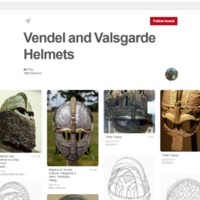 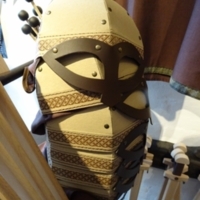 A Pinterest page for photographs of the Vendel and Valsgärde helmets. 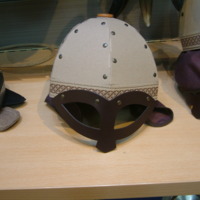 Children's Wiki helmet with spectacle frame produced by Spielzeugmanufaktur, a company in Germany that makes historical toys. 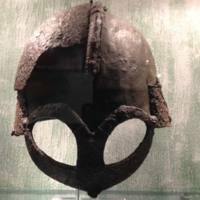 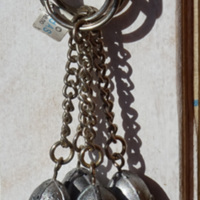 Seen in Ribe VikingCenter. 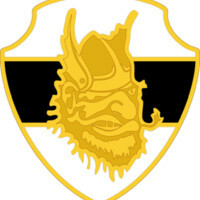 The shoulder-sleeve insignia of Senior Reserve Officer Training Corps (SROTC) from the University of Idaho, Moscow, ID. 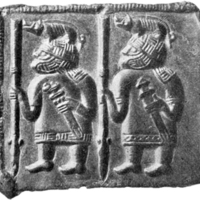 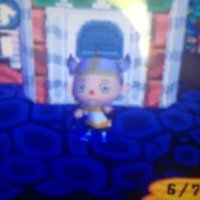 It features a cartoon Viking face with beard and winged helmet. 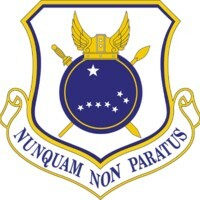 The emblem of the 440th Airlift Wing of the US Airforce contains a "winged viking helmet" in its design. 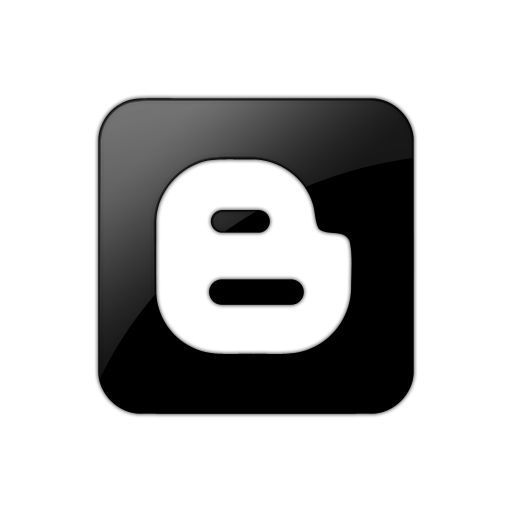 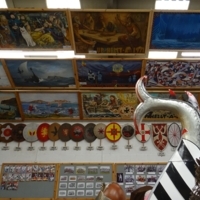 Official Website of the Up Helly Aa Festival in Shetland. 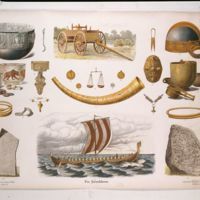 Each proclamation displayed publicly before the Up Helly Aa festival includes a painting, usually relating to the Viking heritage of Shetland. 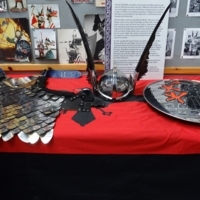 These are housed in the Up Helly Aa Exhibition. 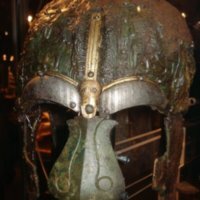 A Jarl is chosen every year to lead the Up Helly Aa Vikings, who lead the parade and burn the galley during the festivities. 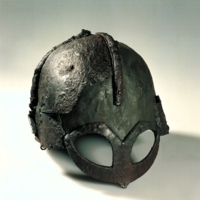 The elaborate costume includes a helmet with raven feathers, and a shield with a raven emblem. 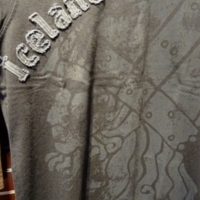 T-Shirt from a tourist shop in Iceland with a depiction of a viking in relief. 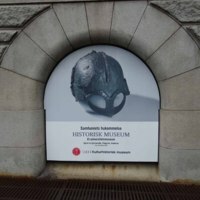 Unusually for the tourist industry, this Viking has no horns on their helmet. 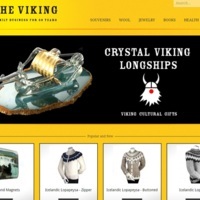 Stores in Reykjavík and Akureyri selling quality goods made in Iceland. 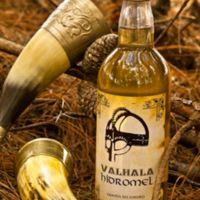 The branding uses typical Viking imagery of a horned helmet and beard.